The PDF format is one of the most popular file formats in the world. That’s why it is absolutely essential to have an excellent PDF editor in 2019. There are numerous software that make editing PDF documents difficult. Selecting a simple and easy to use PDF editor is not an easy task. Therefore, we have chosen for you 10 of the best PDF editors that are compatible with Windows 10. What are the best PDF editors for 2019? The Nitro Pro PDF editor offers a range of functionalities similar to that found in other Windows 10 editors. Key features include editing, creating, combining, reviewing and collaborating. In addition, the Nitro editor allows you to compile, sign and protect PDF documents. The software is compatible with all Windows systems. Is available in two versions: personal and commercial. The personal version costs $ 159.99 and comes with a set of advanced features. Presents the OCR technology, essential for editing scanned PDFs. Compared to other PDF editors in the ranking it is quite expensive. The functions of the trial version are very limited. Price: The personal version costs $ 159.99 and includes additional features. Nuance Power PDF for Windows allows you to convert, annotate, modify and protect PDF files with passwords. As one of the best PDF editors, this tool boasts exceptional features that include even the recognition of voice notes. With Nuance Power PDF, you can add notes simply by saying them, without having to type them. It allows you to edit, convert and perform many other operations. It has an excellent technology for speech recognition. More expensive than other equally valid PDF editors. The user interface is less intuitive than that of other PDF editors. Price: The price of Nuance Power PDF fluctuates on high bands, probably due to speech recognition technology. You can purchase the program starting at $149. 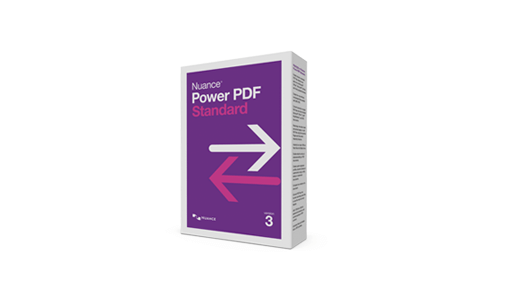 Compatible Systems: Nuance Power PDF is compatible with all Windows versions. 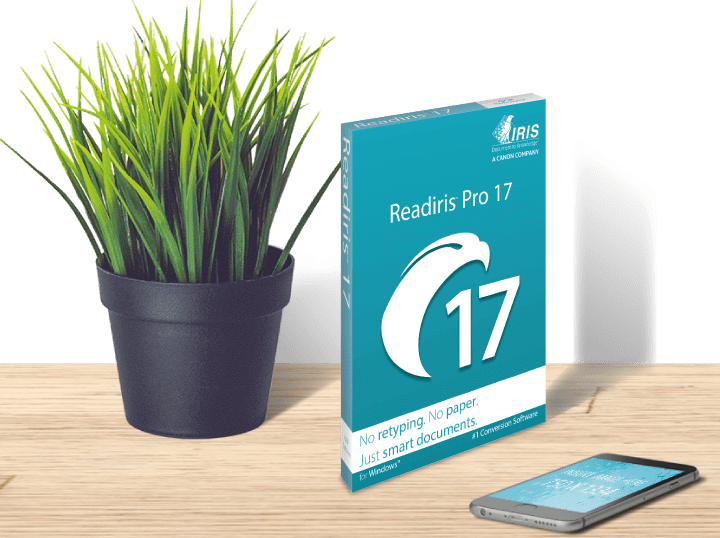 Readiris 17 is ideal for both private consumers and professionals. The tool offers many advanced features that allow you to edit, annotate, protect and sign your PDF files. Moreover, you can edit your PDF files so as to turn them into a variety of digital formats withing seconds. When it comes to PDF editing, if you need a collaboration-focused tool, then Readiris 17 is the right choice for you. You can attach annotations, comments and hypertext in order to add all the necessary information. It is enough to open the software and upload the files to merge, divide, change the order of the pages, add notes and comments, attach documents, protect them with a password. The Readiris 17 OCR software also simplifies the archiving process of documents. How? By classifying them according to keywords. In this way, you’ll find and share them immediately. If associated with one of the IRIS mobile scanners, this program can then manage the digitization of all types of documents (photos, invoices, contracts, recipes). Moreover, there are more than 138 languages available. You can also export, modify and convert any document format (PDF, Word, PPT) to the desired one. Readiris 17 can also extract text from documents thus preserving the layout of the original file. It is the ideal solution to merge, protect, apply the digital signature, compress and correct a text. You can also annotate, underline, delete, reorganize the text or the order of pages and even add voice comments. The version with more advanced features is also the most expensive. Readiris PDF 17 – $ 56, Readiris Pro 17 – $113 , Readiris Corporate 17- $227. PDF Element is a PDF editor for Windows 10 so exceptional that you’ll wonder why you haven’t used it before. This software is an excellent alternative to Adobe Acrobat, which has been considered the absolute standard in PDF editing for years. The best aspect of PDF Element is the presence of a free version, equipped with all the essential features. The paid version has an excellent quality-price ratio and is very convenient compared to that of other editors. PDF Element comes with many features, including annotation, editing, converting PDFs to other formats, adding signatures and filling out PDF forms. 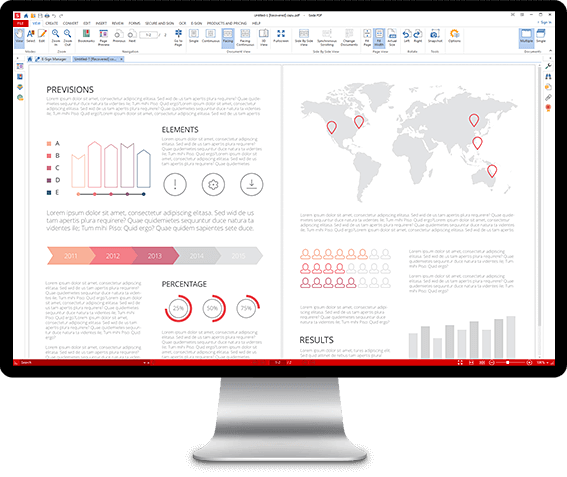 This PDF editor for Windows 10 is a complete PDF management solution. Do not wait any longer and download this very practical PDF editor today. PDF Element sports all the options and features that Adobe supports, which makes it valid and convenient alternative. The intuitive UI makes PDF Element perfect for both beginners and advanced users. It comes with an OCR technology that allows you to edit and extract information from scanned PDFs. The functions of the free trial version are significantly limited. Free in the trial version, which offers basic functions for managing PDFs. Only $99.95 for the professional feature-rich version. PDFelement is the best PDF editor and reader for Windows XP/Vista/8 and Windows 10. There is no doubt that Adobe Acrobat PDF has established the market pace for PDF editing on Windows 10. However, it is an extremely expensive product. 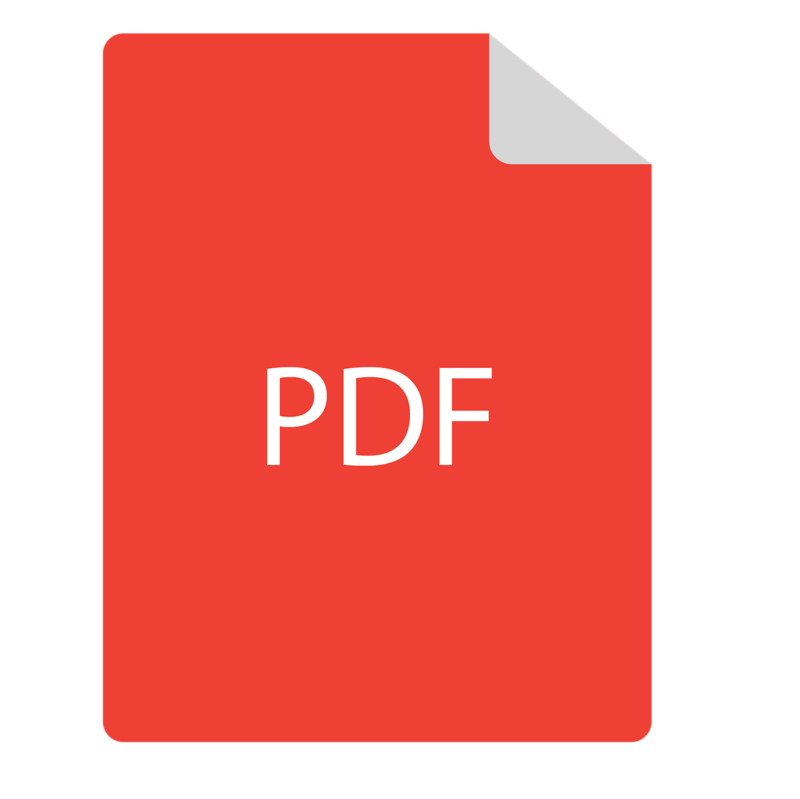 Modifying PDFs is essential for large companies, for individuals and small businesses. The price, therefore, is an element of fundamental importance. That being said, Adobe Acrobat is a high quality software thanks to advanced features that allow users to convert, edit, annotate PDFs and more. 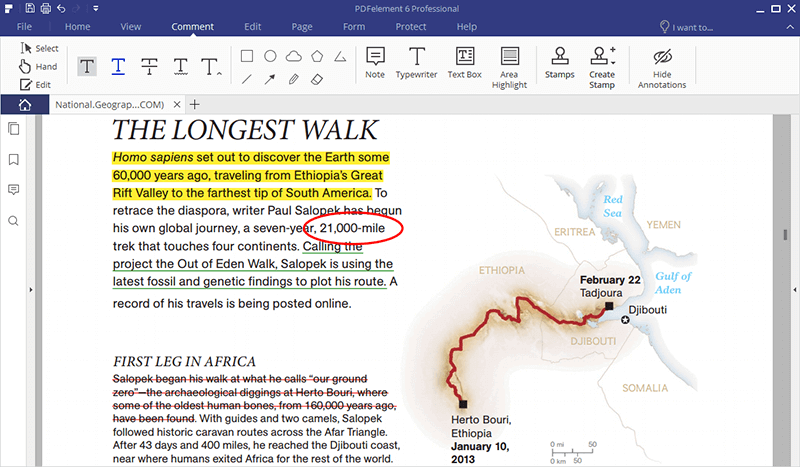 Cutting-edge features, one of the best PDF editors on the market. Simple to use, with a relatively intuitive user interface. OCR technology to edit scanned PDFs. More expensive than most other quality PDF editors. The high price makes it unsuitable for individuals and small businesses. Price: $299 one-time or $15 per month with subscription. Compatible Systems: This PDF editor is compatible with all versions of Windows. 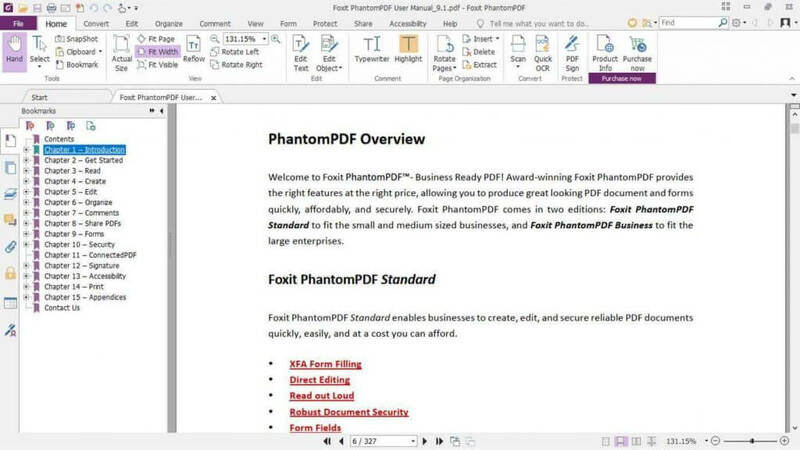 Foxit Phantom PDF is an effective PDF editor for Windows 10. This software has tools for editing, merging and dividing PDFs, annotating and sharing documents, creating forms and converting PDFs in other formats. In addition, Phantom PDF also allows you to encrypt PDFs, edit them and sign them. Provides a free 14-day trial period. The OCR function allows you to work with scanned PDF documents. The trial version has very limited functions. The user interface of this PDF editor is very unintuitive. Price: The software includes a standard version, a commercial version and a didactic one. The standard version costs $109 one-off. Compatible Systems: It supports all Windows versions. This PDF reader and compiler is not as popular as the tools mentioned so far, but it remains one of the best free PDF editors on the market. 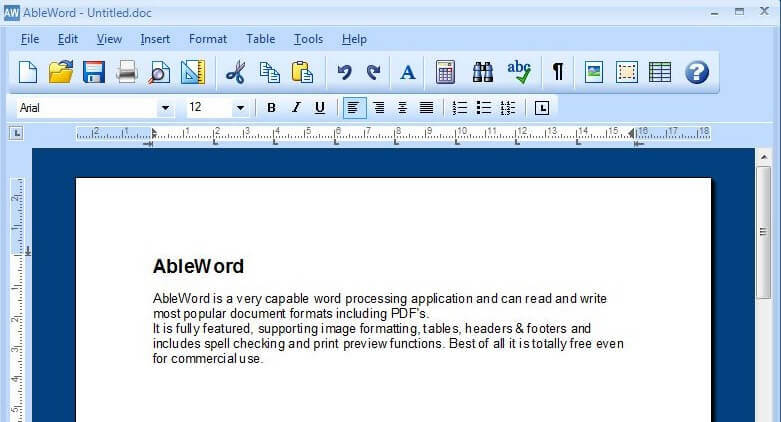 AbleWord also acts as a text processor. Therefore, it allows to edit documents with the same ease offered by Microsoft Word. This software allows you to format images, add and edit headers and footers, manage tables and much more. It also includes a tool for spell checking. It supports some Microsoft Word features. The functions are rather limited. The output quality is not up to that offered by the other PDF editors mentioned. Price: AbleWord is completely free. Compatible Systems: AbleWord can be used to edit PDFs on Windows 10, Windows 8, Windows 7 and Windows XP. Sejda is a free PDF editor that has earned a place in our list due of its excellent features. 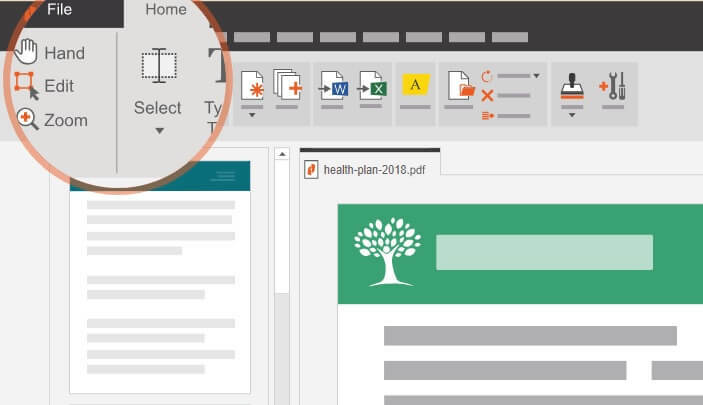 This tool allows you to edit PDFs with great ease. In addition, it has functions to insert signatures, comments and links, create PDF forms and modify any elements contained in PDFs. The tool allows you to change an unlimited number of documents. It has no page or time limits. Not as secure as other PDF publishers. Being an online PDF editor, it lacks the OCR function. The user interface is not very intuitive. Price: Sejda PDF offers 3 different passes – the weekly web pass ($ 5), the monthly web pass ($ 7.5) and the annual web + desktop pass, which costs $ 63. Compatible Systems: Sejda PDF is compatible with all versions of Windows. This PDF editor is among the best in its field, especially if we consider the quality-price ratio. Just like the other programs mentioned so far, Soda PDF also allows you to easily edit PDFs. As for the editing sector is concerned, we could say that Soda PDF is absolutely among the best tools on the market. The software exists in three different versions: Standard, Professional and Pro + OCR. All these versions only allow you to edit and convert PDF files. The only difference is in the presence or absence of some advanced function. The Pro + OCR version, for example, is the only one that allows you to transform scanned PDF files into editable and searchable documents. The reduced cost of Soda PDF is undoubtedly among its best qualities. The OCR function is really effective. It allows you to protect and sign PDFs. Protection and signature functions are also included in the Pro version only. Price: The standard version costs only $ 29. Compatible Systems: Soda PDF is compatible with all versions of Windows. PDF Buddy is another tool that deserves a place in the list of the best PDF editors. The service is free and requires no download or installation to be used. In fact, PDF Buddy allows you to easily edit PDF documents directly online. Since all the functions are executable on the web, you do not need to install any software. Loading and editing documents is very simple. The instructions are clear and allow you to complete the operations quickly. The signing of documents takes only a few seconds. This is a free PDF editor for Windows. The functions are very limited and there are several operations that you could not perform at all. For example, PDF Buddy does not allow you to merge documents or create new PDFs. Since editing operations are performed completely online, it is safe to worry about file security. Compatible Systems: PDF Buddy is a completely free service compatible with all Windows systems, from XP to 10. In this guide, we listed 10 of the best PDF editing tools to use in 2019. We also offered you information on the pros and cons of each tool, as well as price and compatibility information. This should help you to choose which PDF editing solution best suits your needs. If you’ve got any suggestions on questions, let us know in the comments below.